We meet again. It feels a little weird to be acting normal because in the last three days I’ve become a hopeless wanderer in the land of pre-Christmas, running into things such as quick trips to the store for wrapping paper because somehow, some-how, I did not buy enough? It’s really a mystery. Add to that a failed Swedish tea ring, a sore throat sick day, and hours spent trying to track down UPS packages. WHAT IS GOING ON. And honestly, UPS, please call me. Puhleeese. But happy times. Seriously, every time I see our tree all lit up I just get a little giddy. And when I eat handfuls of this saltine toffee, I get a lot giddy. It’s a week before Christmas and that means it’s time for us procrastinators to make some foolproof toffee. Did I mention that the toffee base is my two favorite Christmas things: Butter and Brown Sugar? And that it’s topped with melted peanut butter and chocolate and then frozen into salty sweet perfection? Okay, well, I’m telling you now. In the name of keeping things simple, here’s a simple little visual recipe with photos of how you can make this happen in about two seconds. Baddabing baddaboom. Chocolate Peanut Butter Saltine Toffee ready for all your Christmas parties, neighbors, coworkers, friends, and self. This, crunchy and frozen, with a glass of cold milk or hot chocolate? It’s magical stuff..
Chocolate Peanut Butter Saltine Toffee! The most basic, delicious dessert for the holiday season. Just a few ingredients and super easy to make! Cover a 9×13 baking dish with foil. Spray with nonstick cooking spray or grease with oil. Arrange the saltines in one layer in the pan, leaving a little bit of room between each cracker, and set aside. Preheat the oven to 400 degrees. Melt the butter and brown sugar in a small nonstick saucepan. Bring to a boil and let boil without stirring for three minutes. Pour the hot mixture over the crackers and bake for 5 minutes. Drop the peanut butter onto the hot cracker and toffee mixture; bake for another 1 minute to melt. Spread the peanut butter. Sprinkle with chocolate chips; bake for another 1 minute to melt. Spread the chocolate evenly and top with sprinkles. Freeze or chill for 1 hour or until set. Break into small pieces for serving. It’s a day for sharing pictures of my family adventure to get the Christmas tree! Ya know, just for fun, to make up for a few days of Christmas mania and remind myself of why this all is worthwhile. We love the Wolcyn Tree Farm in me and Bjork’s small-town-home-town and it’s a tradition for my family to go there every year to get our tree. Partly because of the cider and cookies, but partly more because of the amazing Adie who sorta runs the place (top right, in full Christmas joy form). 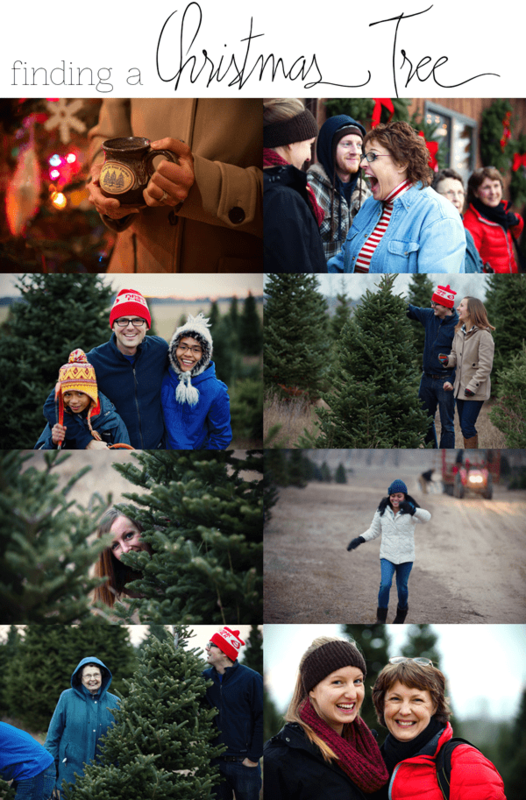 This year was no exception; we had a great time cutting down our own tree – me with a saw – yes. And G-ma even came along. I adore the American tradition of Christmas tree shopping. We never get anything close to it down under. It must be such a great family bonding experience when you together choose the highlight of the room. Yummo to this toffee and the sprinkles are too cute! yum! My friend made these for a cookie exchange and I loved it! Although, to up the saltiness I will probably add a little sea salt to the top instead of sprinkles. Such a Southern classic! It’s not the holidays without this toffee! I had no idea. 🙂 I’m southern. This is cool. I was just thinking this morning that I’ve done zero Christmas treat making and how I need to find something easy. Lindsay FTW! Becky, you and I are one in Christmas baking spirit. I just have had such a crazy time this year when it comes to baking! This is awesome because a) it’s addicting, but also b) it’s good for us procrastinators. 🙂 🙂 Enjoy! I love that collage of you finding a Christmas tree. Oh, and I hope UPS calls you back Lindsay! This toffee sounds great-I love anytime chocolate and peanut butter are combined! 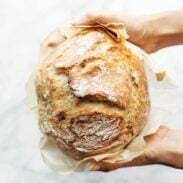 I have a recipe for this on my site and it’s always super popular this time of year. I love this stuff! They don’t call it Xmas C*ack for a reason 🙂 Merry Christmas! I need to make a scaled down version of this just to see what it’s like. Somehow, I’ve never had it before! I have never made this before! I will have to see if I can find gluten free saltines and give it a try. It looks so pretty! I LOVE this! I usually make brittle to hand out at Christmas, but the addition of melty yum peanut butter just made me ridiculously excited. Cannot wait to share this and give it a try! Adore this stuff! I can’t wait to make it so so soon! Also good with graham crackers in place of the saltines. That’s what I’ve heard! Never tried it though. Thanks for the recommendation! Thanks! 🙂 Trying something different. This was already on my to-make list this weekend!!! So exctied to see it on your blog today! YUM!! So easy, so good, so pretty. Sorry about your pacakge – that is literally the worst thing to deal with! I hope UPS calls you back! This looks way too good to be true. I’ve never tried saltine toffee and I don’t know why, looks totally mouthwatering awesome! It must have been so fun to cut down your own Christmas tree. Yum! I had this at our potluck at work for Thanksgiving and it was so good. I love the saltines paired with the sugar toppings, definitely a foolproof dessert! Yum – the addition of saltines make this perfect! I am right there with you on the Christmas procrastination and busy-ness… I haven’t even thought of any good gifts for my parents, let alone wrapped them! But they never say no to sweets. Especially ones with chocolate involved. Maybe it’s time for me to try this quick and easy toffee saltine toffee recipe for them! Perfect! I made this for my dad one year and, being a salty sweet fiend, he loved it. Everything about this looks delicious! I have never had the infamous saltine toffee, but a peanut butter version might just get me to pull the trigger and make it! The only problem is I will eat the whole pan! I meant to make these last year but never got around to it! Maybe this year. Umm….just send it to me all!?! Haha! This look so amazing and easy, which is just pretty much the best thing ever right now! Plus it has red and green sprinkles, a Christmas must! So cute! I love your tree farm pics…! And that toffee looks amazing. I made some this year too and it’s phenomenal. We call it Christmas Crack! The toffee looks absolutely yummy! love the farm pics!